While making my way through the swap meet earlier this beauty caught my attention while being propped up on box of POGs. 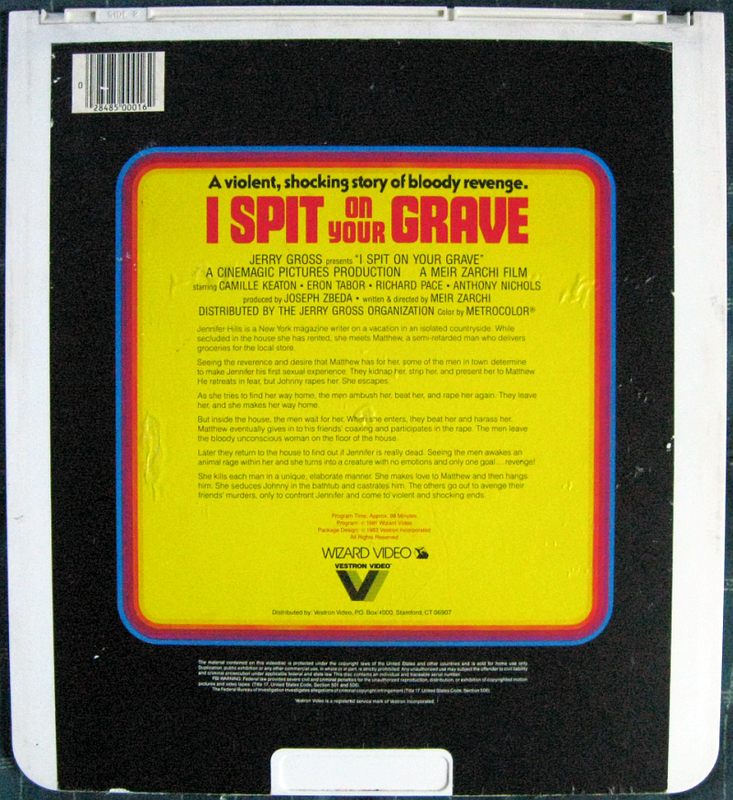 Wizard Video's rare 1983 CED of I Spit on your Grave (Day of the Woman) (1978) distributed by Vestron Video. You could tell the seller was a "general" pop culture collector since he had an assortment of junk ranging from back issues of Heavy Metal magazines, sealed Power Ranger figures, Troll dolls, and manga graphic novels. This disc seemed the only piece of cult film (or CED) "anything" at his table and he immediately exclaimed "Damn, I knew a horror fan would pick this up!" while pointing at my Friday the 13th t-shirt. He then went into a long spiel about wanting to get those behind the film to autograph it at a convention but never getting around to it. At that point, I was afraid to even ask a price with the big deal he made, but upon finally asking, the kingly sum of one whole dollar was reluctantly paid!